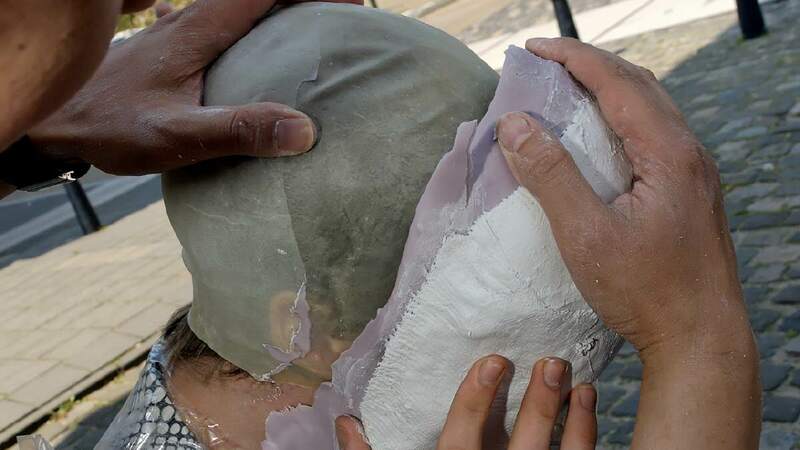 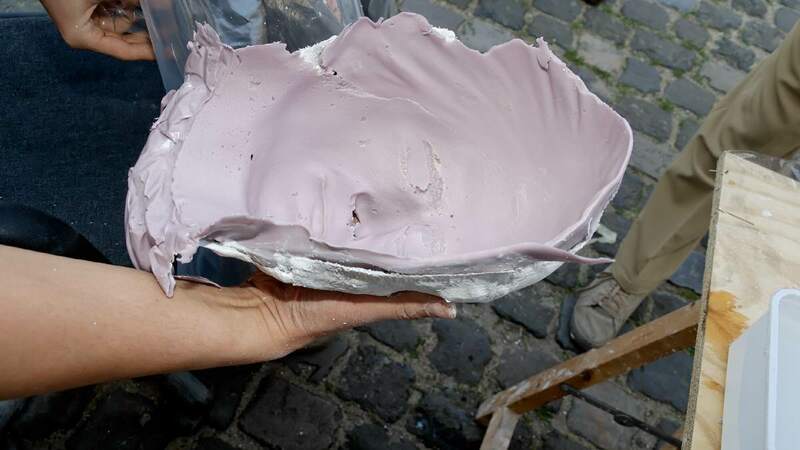 Plaster bandage is used for making a hard support shell over a flexible alginate or silicone (Body Double) mold. 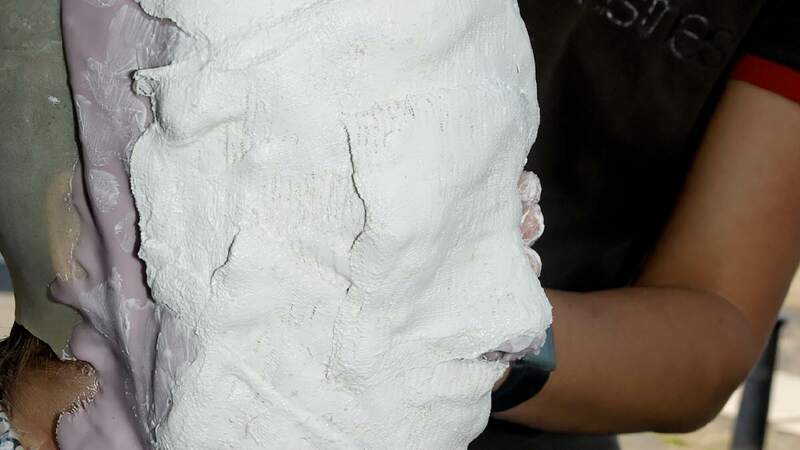 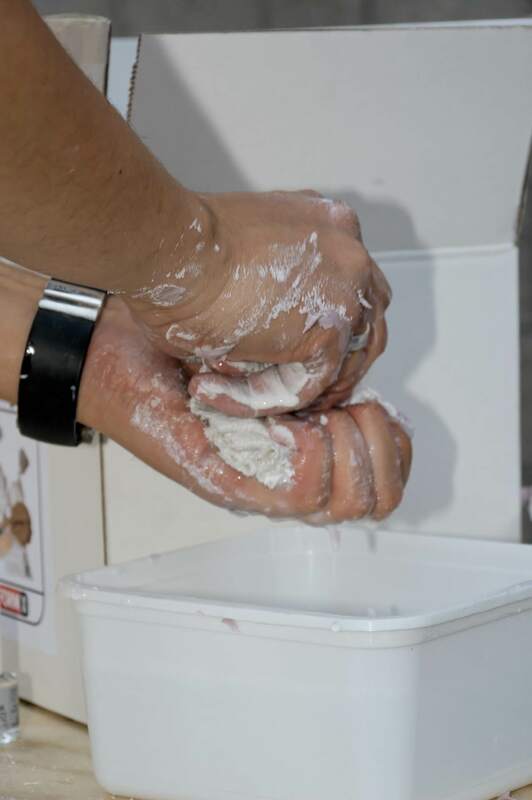 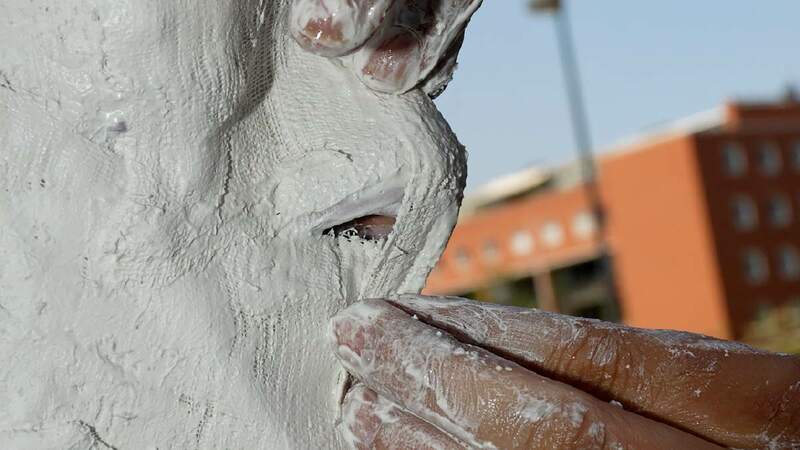 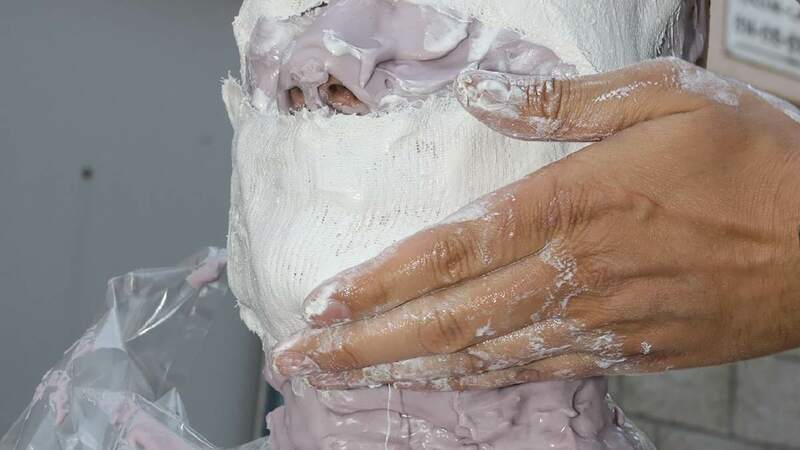 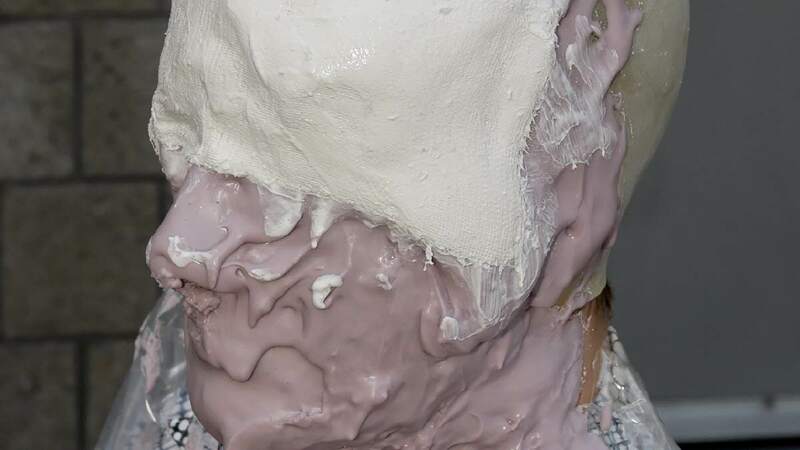 Plaster bandage can be also used to lifecast without the use of alginate or silicone by placiging it directly on the body; The cast will show (much) less detail. 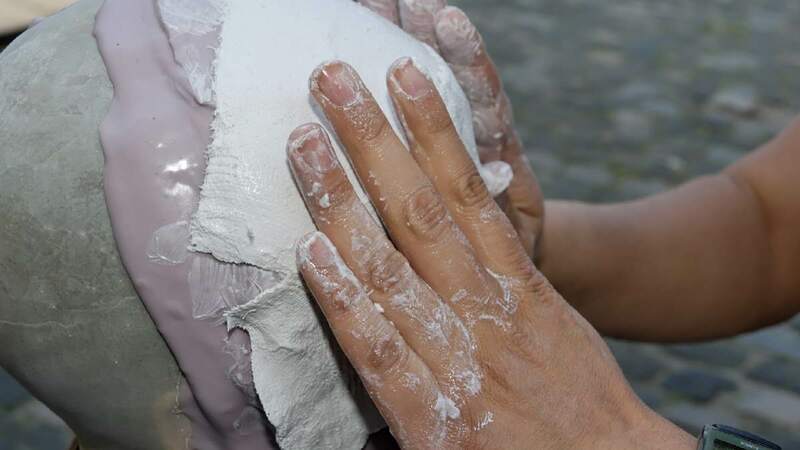 BE sure to keep the plaster bandage thin as it will generate heat when curing. 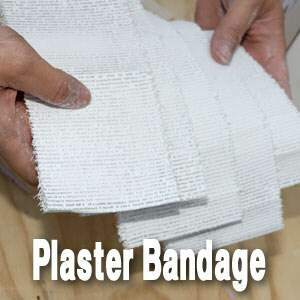 Plaster bandage is sold per roll of two meters in length or per pack of 5 rolls of 4 meters in length or 4-ply rom 8thickness in lengths of 20 meters (splint). 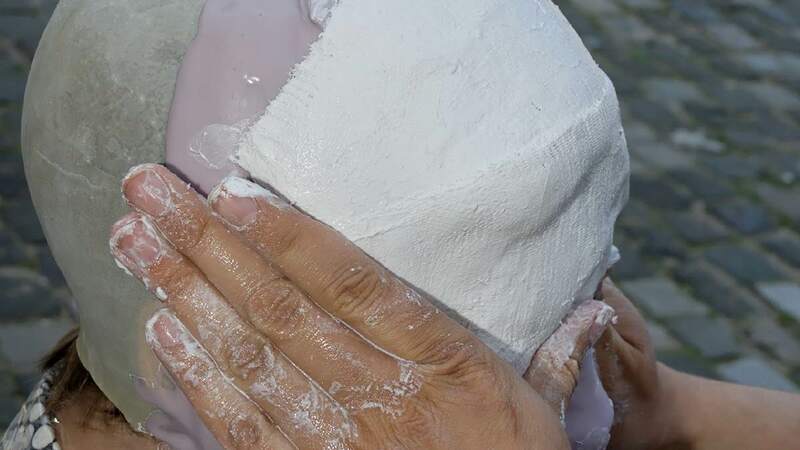 Each pack or roll are available in different widths ranging from 6, 8, 10, 12, 15 or 20 cm. 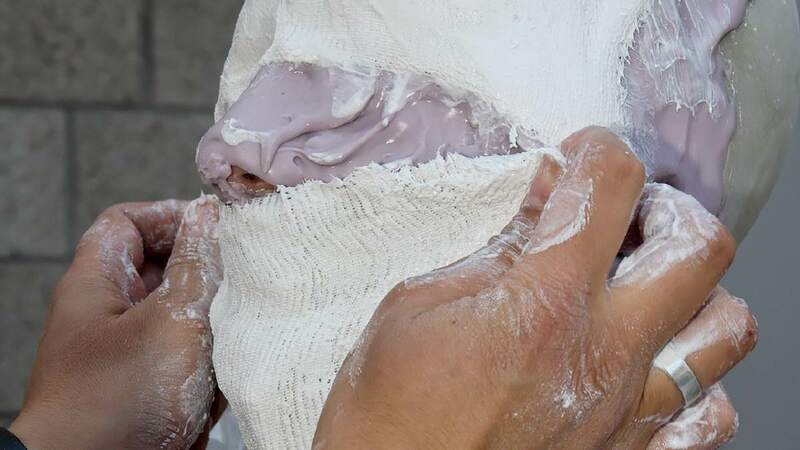 Before use prepare the required amount of bandage by cutting 10-15cm length's. 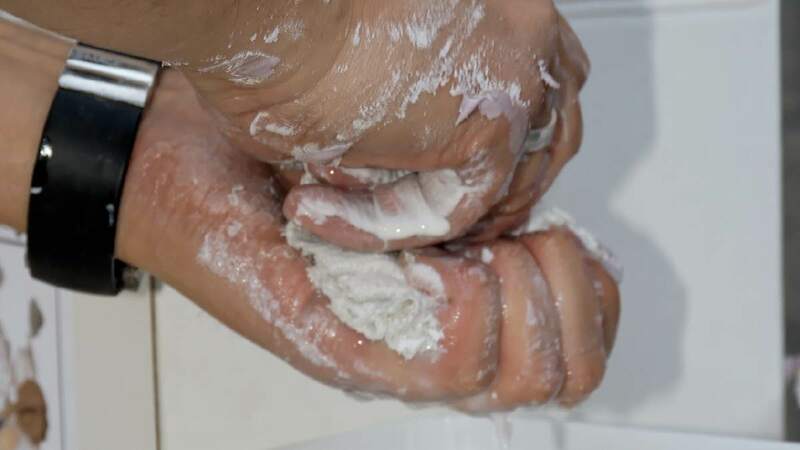 Moist the bandage by quickly submerging them into water as you apply them piece for piece. 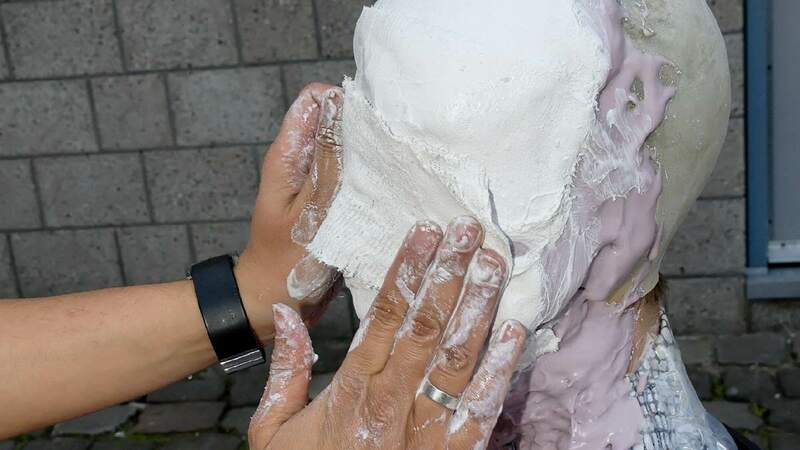 Take care of sufficient overlap between pieces. 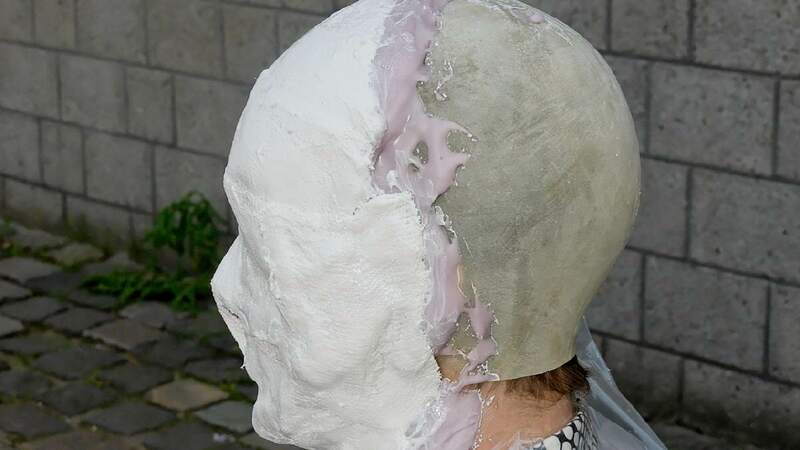 Generally a thicknes of approximately 4 layers is required.